Are you looking for a delicious vegetables recipe with a difference? If you are, you’ve found it! Here’s my courgettes with truffle and mint dressing for you to enjoy. 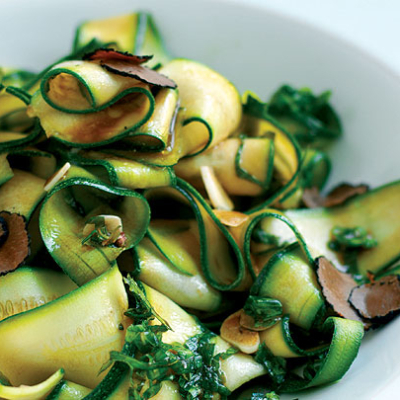 Feast your eyes on the finest courgettes with truffle and mint dressing! It’s straightforward and fun to make this great dish. Simply follow the instructions below and get the perfect result. To make the dressing, whisk together the olive oil, vinegar, garlic and mint in a large bowl and season with salt and pepper. Thinly slice the courgettes lengthways using a swivel-blade potato peeler. Place the slices in the bowl with the dressing, season with more salt and pepper, mix well and leave to marinate for about 10 minutes. To serve, pile the courgettes in the centre of four plates and top each serving with four slices of truffle. Serve with some warm crusty bread to mop up the dressing. 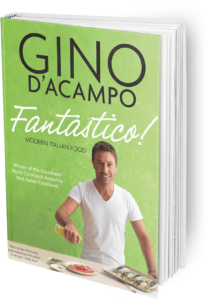 Once you’re done, simply sit back and enjoy your courgettes with truffle and mint dressing and don’t forget to check out other great authentic Italian recipes including great antipasti recipes, Italian pasta recipes, Italian soup recipes, Italian beef dishes and authentic pizza recipes.